Floors, never have they looked sexier.. Take an innovator ahead of his time, a portion of green thinking and two women with a vision and you have the recipe for Bolon - A flooring company that is everything but just a flooring company. 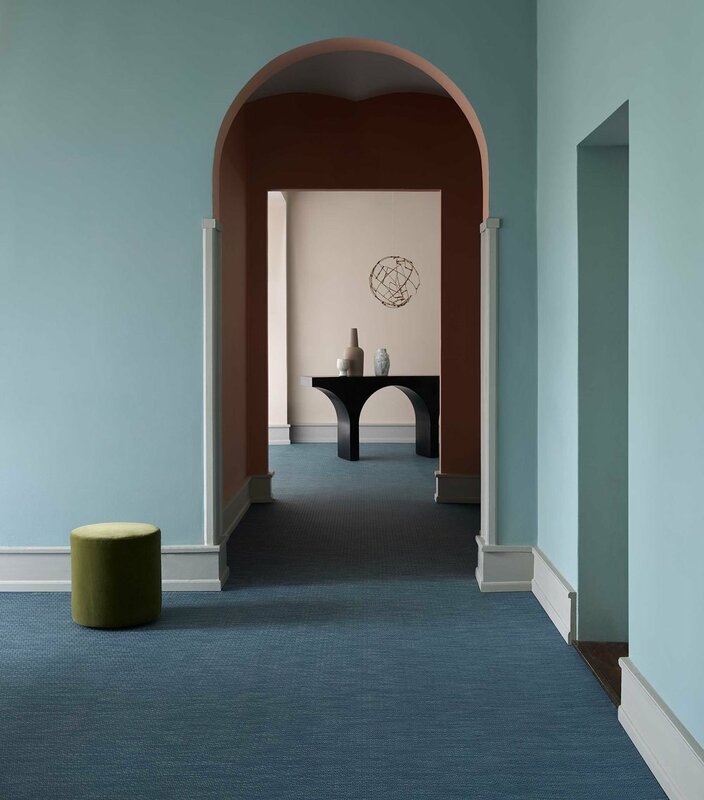 Having already been laid down in all corners of the world for brands spanning from Adidas and Missoni to the big guys at Google and Microsoft, BOLON have created their own empire of innovative and exceptionally decorative flooring concepts, and there's no stopping them there. Their inherent endless creativity and innovation have resulted in some very interesting ongoing projects. But before the brand as we know it today, BOLON started as a small family run company producing rag rugs from leftover textiles in Stockholm. It's the late 40s in Stockholm. A man with the name Nils-Erik Eklund is on his way back from work. Every day on route back home, he passes a textile factory, and every day he looks at the pile of textiles entangled together in the skip outside, thinking what a pity they are only going to be wasted.. It was then the idea sparked to life; Rag rugs made out of left over textiles and nylon. A man ahead of his time indeed. This is also where BOLON takes its name from: BO(MULL) (swedish for cotton) + NY(LON). In the years and decades to come the business grows from a small family run business producing rugs for residential use, to becoming a global producer of caravan awnings mats when the next generation, Lars and Monica, takes over. They are the ones who take the business to the next level, starting production of wall-to-wall vinyl flooring in the 90s. It is not until grand daughters Annica & Marie takes over the business that it took the unexpected turn, away from the traditional and conservative flooring industry, to become an innovative, design-led company. Fuelled by their passion for fashion, design and interiors, the sisters was on a mission to create something different, in which they have brilliantly succeeded. With a never-ending curiosity and eagerness to explore and experiment, they continue to surprise not only with their interesting collaborations with famous Designers & Architects, such as Missoni and Jean Nouvel, when it comes to their flooring. But also with their desire and hunger to move beyond flooring, resulting in ongoing experimentation of fabrics and exiting collaborations with various international furniture designers and brands. 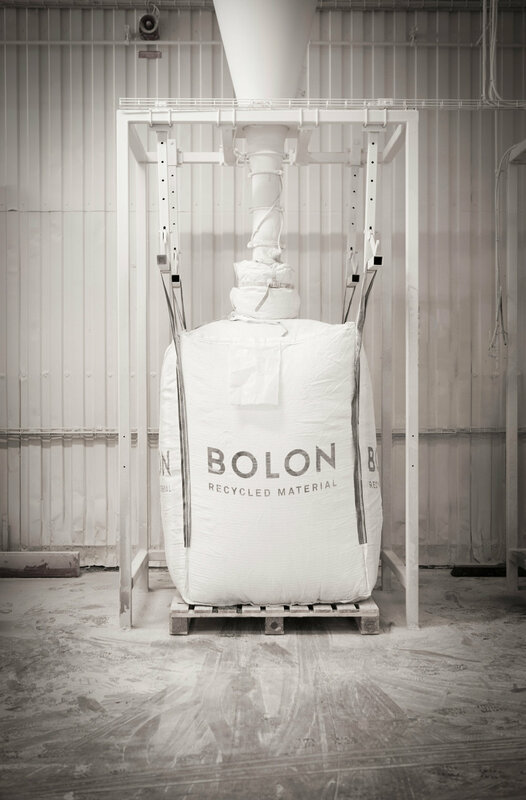 Just as from the very start, BOLON is passionate about sustainability and utilising waste material, which has led them to setting up their very own recycling facilities at their factory in Ulricehamn in Sweden. The fantastic aspect of the vinyl they use in their manufacturing, is that it can be recycled up to seven times. Today, 33% of all their collections are made up of recycled materials from their own production, with the aim to increase this percentage by starting to recycle waste from other industries as well. So just as their grandfather, Annica & Marie are ahead of their time, not stagnated by conventional ways of building a business, but driven by the desire to create and innovate. They are expanding their empire by acting as frontiers for a sustainable future and leaving a legacy in the world of Scandinavian design. A big thanks to the team at BOLON family for inviting us over to Sweden to experience the life of BOLON, and for our beautiful stay at the Urban House and dinner at the Lake House.